Dundonald International Ice Bowl takes pride in providing a high standard of customer service. To ensure we are continually improving on our service, we value all feedback from our customers. Our customer charter outlines our customer service standards, the timescales you should receive a response when you contact us and the process you can follow when making a customer comment or complaint. Lisburn & Castlereagh City Council aims to provide an effective and efficient service to all its ratepayers and customers. If on occasions, the service is not as you would expect, the Council would like to know about it. Please click here for your incident form to submit your comment or complaint. Download a copy of our customer charter. Through market research, Dundonald International Ice Bowl collated customer feedback in regards to the services and facilities available to visitors on site. 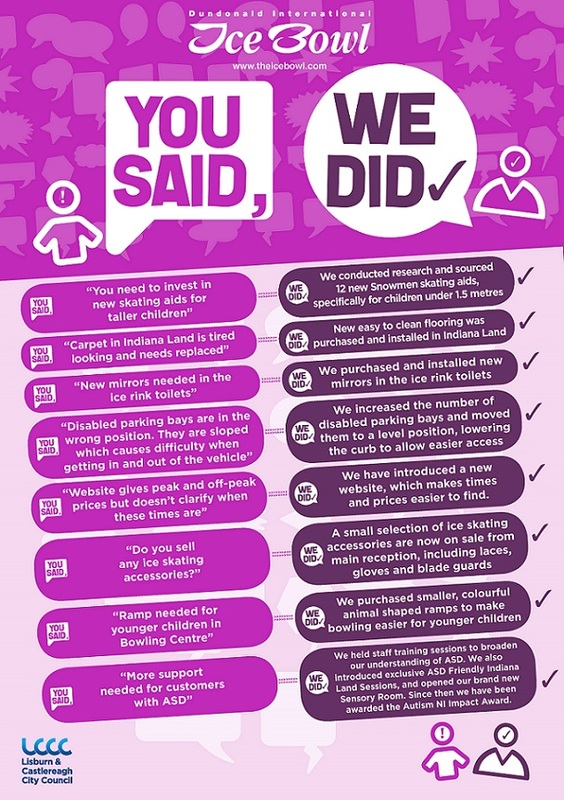 Lisburn & Castlereagh City Council took this feedback on board and made improvements throughout Dundonald International Ice Bowl, of which is outlined in the below ‘You Said, We Did’ inforgraphic. 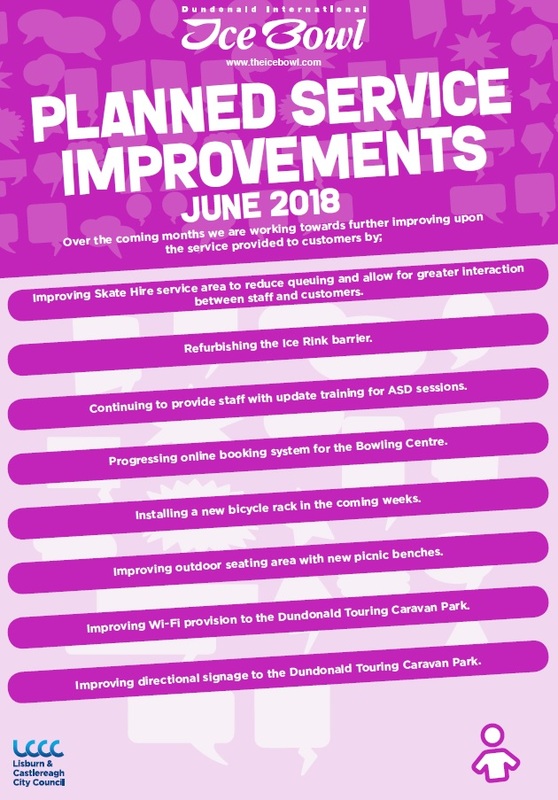 We are also continuing to improve upon the service and facilities in which our customers are provided with, which is outlined in the below 'Planned Service Improvements' inforgraphic. Below are details of our management structure, if you wish to contact us.